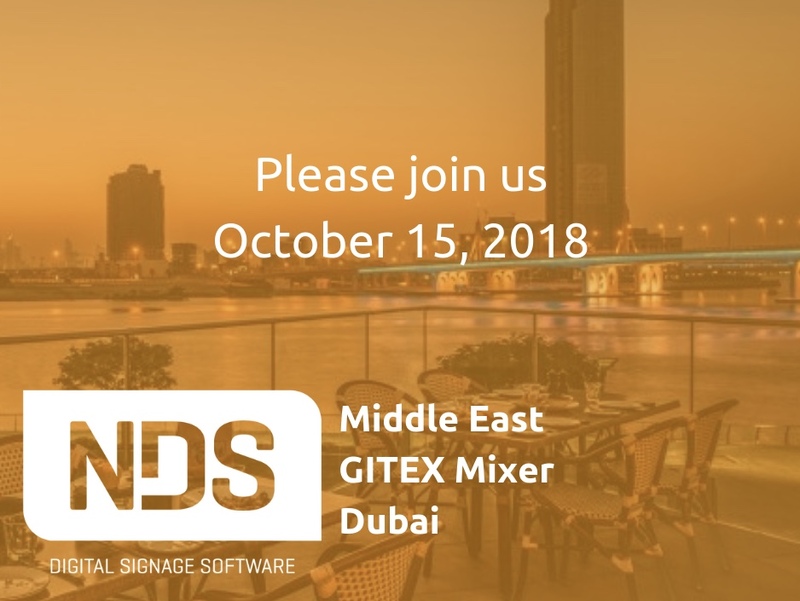 We would like to invite you to the NDS Middle East GITEX Mixer in Dubai this year. The event will take place on the second day of GITEX 2018, the largest and most influential technology event for the Middle East. Join us in Dubai and mark Monday October 15 2018, 8 pm in your calendar. Kick back, relax and raise a glass with us at our network mixer. We have an open bar including a selection of delicious finger food. Fill out the form below to SIGN UP NOW. We look forward to meeting you at the NDS Middle East GITEX Mixer on October 15.